Check out this Ring! This is a custom engagement ring I made for a client. 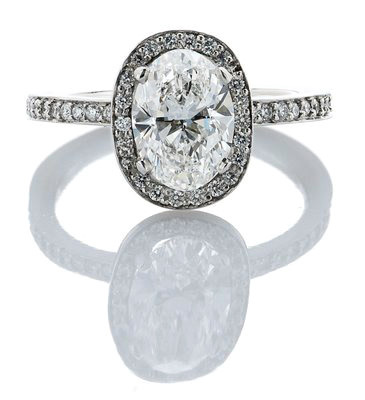 The center stone is 1.41 Carat g color VVS2 Oval Diamond, with almost a 1/2 carat of diamond pave set in a custom platinum ring. Not what I traditionally make but it was fun making it!